Finally! Dodgers, Padres, Phillies complete blockbuster trades. Matt Kemp is a San Diego Padre. Jimmy Rollins is a Dodger. 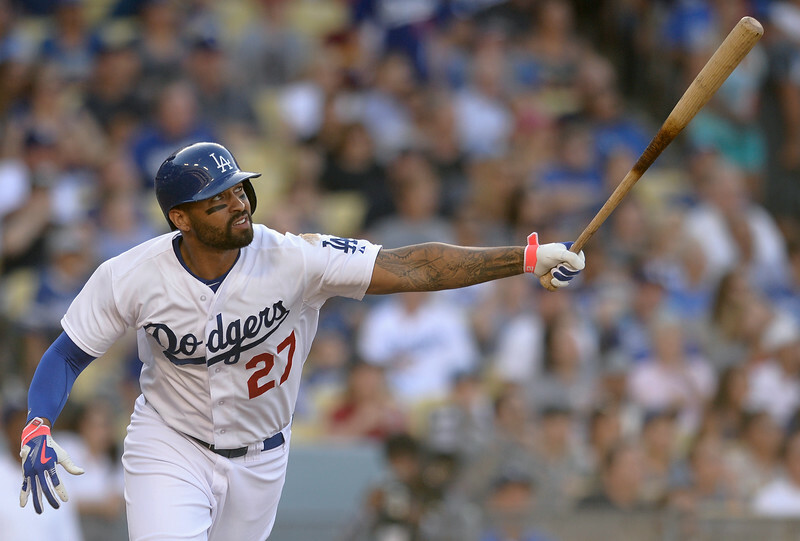 Two blockbuster trades that seemed inevitable a week ago became official Thursday after an issue with Matt Kemp’s physical caused an awkward delay. Daily Distractions: The Dodgers’ “old-timers game” lineup is a star-studded affair. One of the first fantasy baseball leagues I participated in was a “legacy” league back in the 1990s. You could draft players from any era. Old Hoss Radbourn was in the league. So was Lyman Bostock. That memory was rekindled when the Dodgers announced the list of participants for Saturday’s “old-timer’s game,” which will be played at Dodger Stadium after the 1 p.m. game between the Dodgers and San Francisco Giants. I mean, an outfield of Darryl Strawberry, Dusty Baker and Raul Mondesi? 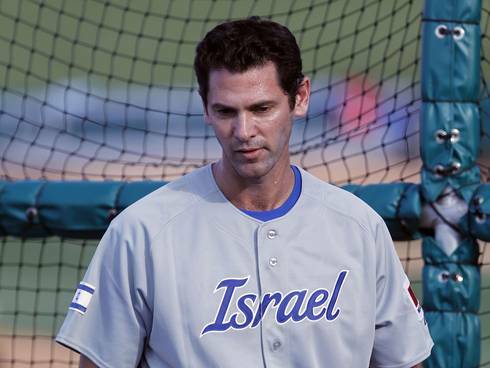 An infield of Nomar Garciaparra, Maury Wills and Eric Karros? Additionally, Tommy Davis, Charlie Hough, “Sweet” Lou Johnson, Manny Mota, Don Newcombe and Jerry Reuss will be on hand and a part of Old-Timers pre-game introductions. Dodgers 2, Texas Rangers 1: Zach Lee and Tom Windle offer a glimpse of the future. GLENDALE, Ariz. — Zach Lee came into camp hoping to make the Dodgers’ 25-man roster. Seriously. The 22-year-old pitcher only reached Double-A last year, three years after the Dodgers selected him with the 28th overall pick in the 2010 amateur draft. Only a strained right latissimus dorsi muscle suffered early in camp forced Lee to temper his expectations. By waiting until Friday to make his Cactus League debut, Lee knows he’s ticketed to the minors to start the season. 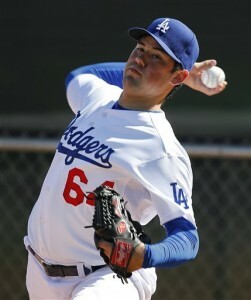 Lee pitched two scoreless innings in the Dodgers’ 2-1 victory over the Texas Rangers on Friday at Camelback Ranch. He allowed only two hits, walked none and had something to be proud of at the end of his long-awaited debut. The right-hander from McKinney, Texas survived a loud leadoff double to Shin-Soo Choo — “a 2-1 fastball right down the middle that you don’t want to throw,” he said — to survive a 21-pitch first inning on consecutive ground-ball outs by Elvin Andrus, Mitch Moreland and Adrian Beltre. After a smooth second inning in which he allowed a single to Jurickson Profar, Lee’s day was over. He faced eight hitters, almost all major leaguers, and did not look out of place on the mound. Lee has a preternatural calm in the presence of almost anyone — reporter, major leaguer, minor leaguer. He said he’s tried to stay in the background like most rookies, while also trying to pick the veterans’ brains. Both pitchers share an analytical approach to baseball, something that impressed Dodgers management about Lee since his first days in the organization. Lee’s numbers in his second season at Double-A Chattanooga were better in almost every category in 2013, when he was named the organization’s pitcher of the year. Lee took part in the Dodgers’ prospect camp at Dodger Stadium in January. Finally on Friday, he had a chance to show everyone what he’s gained since last season. Young power pitchers are often the first to reach the majors. The St. Louis Cardinals’ Shelby Miller, a 2012 draft pick who beat the Dodgers twice in last year’s National League Championship Series, is a protypical example. Pitchers like Lee, who mix and match an assortment of pitches and rely more on location and guile, often take longer. This season marks his fourth in the organization and only his first major-league camp. Lee said he threw all his pitches Friday and “some worked better than others.” For Mattingly, the first impression was a good one. 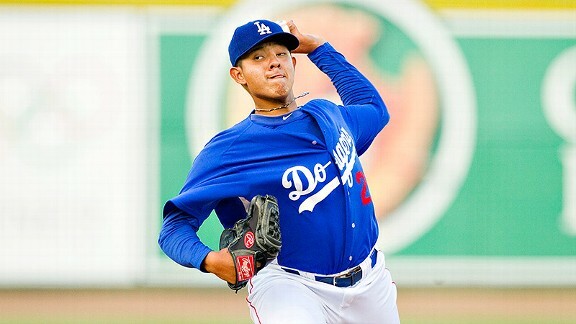 Dodgers prospects score exhibition win in Tucson. Darnell Sweeney‘s two-run single highlighted a 4-0 win for a team of Dodgers prospects Sunday over Yaquis de Obregon, a Mexican Pacific League squad, at the “Vamos a Tucson Mexican Baseball Fiesta” in Tucson. The Dodgers scored all four runs in the eighth inning. After Sweeney’s single, RBI singles by Adam Law and Cody Bellinger drove in the Dodgers’ final runs. Left-hander Chris Anderson, the Dodgers’ first-round pick in the 2013 draft, started and pitched 1 &frac23; innings, allowing no hits, no walks, and striking out two. Tom Windle, the Dodgers’ second-round pick in June, allowed no hits over the next 1 &frac13; innings. Some highlights of the game (announced in Spanish) can be seen here.